The Kingsburg High School Music Boosters hosts several fundraising events throughout the year that benefit the Kingsburg High School band and choir program. eScrip is the easiest and best way to raise funds for the Kingsburg High School Music program. To use eScrip, register loyalty cards or phone numbers from local grocers (SaveMart), or by registering credit and debit cards that you use when you shop online or when you dine out. After you’ve signed up, earning is easy - just shop at grocers and drug stores in your town, dine at local eScrip participating restaurants, and at thousands of eScrip merchants online. Every month, earnings from all supporters get turned into contributions for the Kingsburg High School Music program! Click the button below to register today! 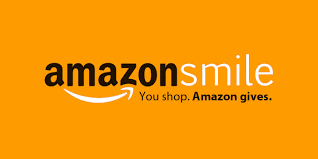 AmazonSmile is a simple and automatic way for you to support the Kingsburg High School Music program every time you shop, at no cost to you. When you shop, you’ll find the exact same low prices, vast selection and convenient shopping experience as Amazon.com, with the added bonus that Amazon will donate a portion of the purchase price to the Kingsburg High School Music program. To shop at AmazonSmile simply Click Here or go to smile.amazon.com from the web browser on your computer or mobile device. You may also want to add a bookmark to smile.amazon.com to make it even easier to return and start your shopping at AmazonSmile.